Officials from the Department of Marine and Coastal Resources (DMRC) yesterday (Dec 21) found and seized 37 kilograms of dead coral during an inspection of the “Muktawan 1” meditation facility on Koh Yao Noi in Phang Nga. 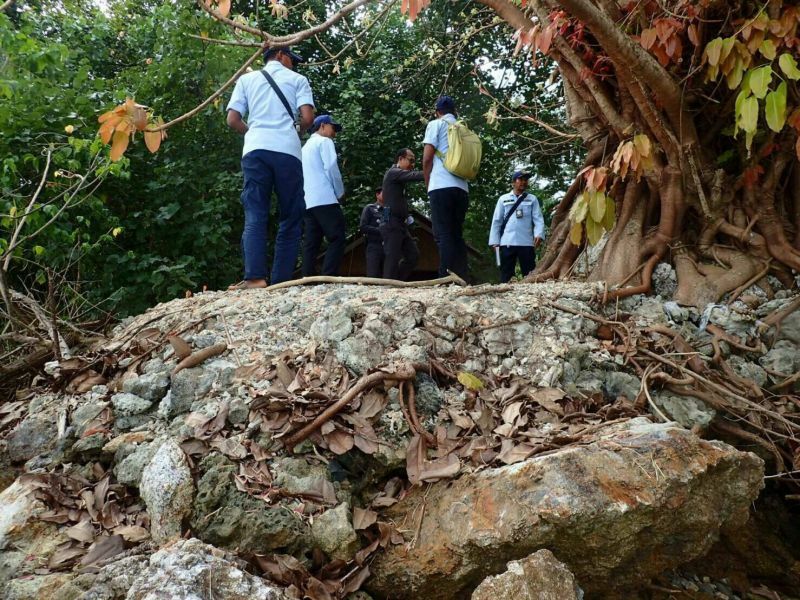 The inspection came after the owners of the facility, the Dhammakaya Foundation, were alleged to have used a nominee to occupy some land plots where its three meditation facilities are located on Koh Yao Noi Island, some of which are also said to encroach on forest land (See story here.). Mr Suchart Rattanariangsri Director of the DMCR’s Marine Resource Conservation Division at the Sixth Marine Coastal Resources Administration Office together with officers from the Koh Yao Noi carried out an inspection of the Muktawan 1 meditation facility and found various pieces of dead coral piled up to prevent soil erosion in the area. 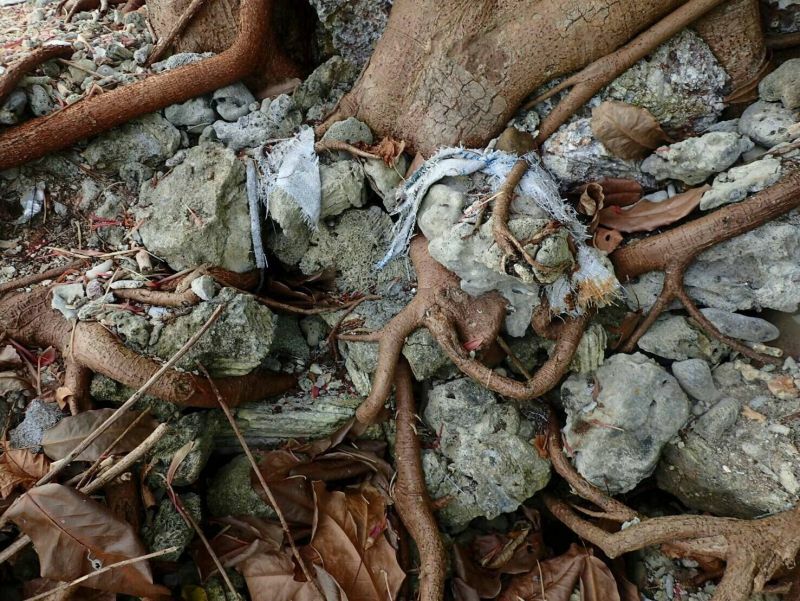 Pieces of dead coral were also used to as a top dressing for trees in the area and also to decorate buildings. The collection of dead coral contravenes sections 19 of the Wild Animal Reservation and Protection Act B.E. 2535 (1992) which prohibits the possession of protected wild animals and their carcasses . Contravention of the said Act can result in a fine of not more than B40,000, or a prison term of not more than four years, or both. 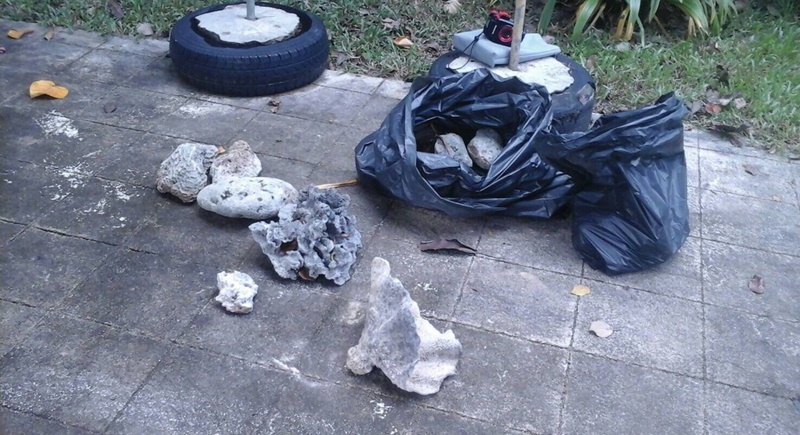 Mr Suchart said, “Today we found and seized 37kg of coral from the Muktawan 1meditation facility. 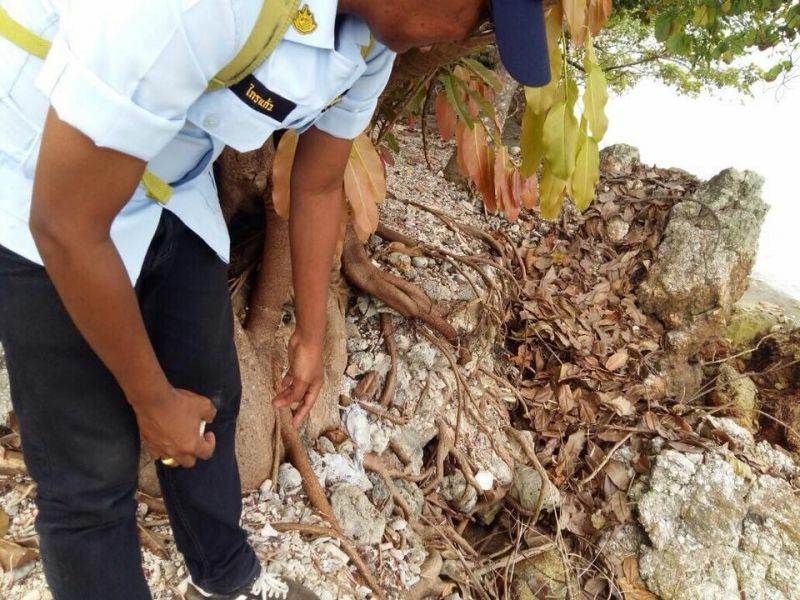 However, there were more pieces of dead coral that could not be seized as they were either mixed in with soil under trees or set in cement in buildings. Well, the officers of DMCR and many more departments had a nice day out. Was the free lunch nice? Just to see what has been seen for long time already by many non government people. Now we get 'slapped' with all the laws and regulations accordingly. And what will be the legal action? A 1000 thb fine + some 'extras' for understanding and a promise not to do it anymore?